Come enjoy and celebrate Diwali with NPIC! A family-friendly festival that showcases Indian Culture right here in the heart of New Plymouth. Entry by gold coin donation! 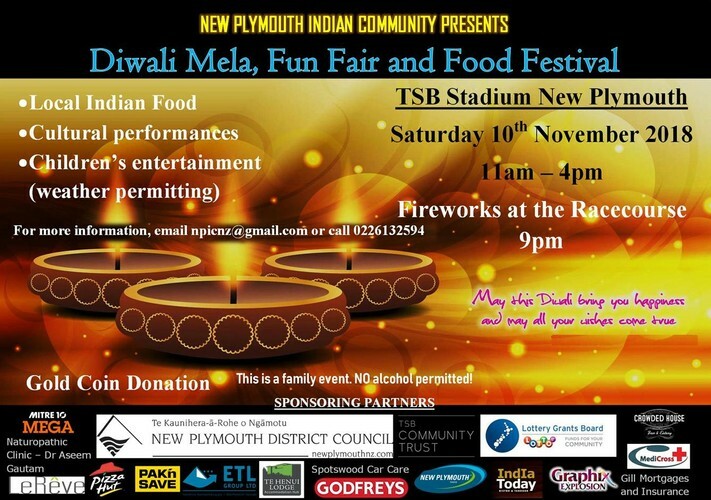 There will be lots of music, food, a variety of stalls and performances from different states of India! There will be children's entertainment, so you can sit and enjoy the performances and food. This is brought to you by New Plymouth Indian Community.